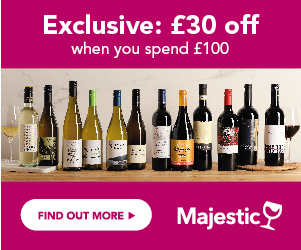 View all the offers available on wine & Champagne online at Marks & Spencer. Browse their product range and view price history, awards & reviews. Save 20% on your favourite M&S Prosecco! Single Bottles are not included in this deal. Alcohol can be sold to over 18s only. Please enjoy responsibly. Marks & Spencer was founded in 1884 and have become one of the UK's leading retailers with over 850 stores in the UK and 480 overseas. Their aim is to sell high quality and great value products such as food, clothes, home accessories, beauty products, etc. Their e-commerce website was launched in 2014 and has now over 7 million registered users. Their wine area is well stocked with over 700 wines and Champagnes available online. Most of them are usually made exclusively for M&S in partnership with great winemakers from around the world. See full T&Cs on M&S website. An applicable promotion code can be added to an existing order at any time before payment is taken. Click 'Reveal voucher and visit site' and copy the code from the popup. Once on the Marks & Spencer website, add items to your bag and click on 'View your bag' before proceeding to checkout. Paste your code into the promotion or loyalty code box and click 'apply'. Your discount will be deducted from the total in your order summary. Repeat this process if you have another promotion code that can be used in conjunction with the first offer. Follow the instructions to checkout and pay for your order.